Today the people of Arawa, landowners, women, ex-combatant core group, and“no mining” Bougainville hardliners milled into the Sharps Memorial Youth Centre, Arawa, to be“educated” by the Bougainville Executive Council (BEC) on the finer points of mining and controversial amendments to the once controversial Bougainville Mining Act 2015 (BMA) that is yet to be industry tested. One wonders why such an entourage as BEC has found it necessary to carry out “consultations” on such unpopular bills which have drawn stiff opposition throughout wider sections of the community. Today, the Finance Minister Robin Wilson and the Vice President and Mining Minister, Raymond Masono spoke out against what they called misinformation and misconceptions in social media that were causing so much confusion about the new mining bills, and the bill to effect amendments to the existing BMA 2015. They said that the amendment to the BMA 2015 were necessary to give more benefits to the resource owners than what the current mining act can provide them. Their attempt to illustrate the benefits of tampering with the BMA, via PowerPoint presentation, did very little to allay our fears as we were already aware of the sections in the BMA 2015 that were subject to draft amendment by lawyers acting on behalf of Jeffery McGlinn and Caballus Mining. Not only is our law subject to tampering by foreign elements but our ‘mama’ law, the constitution, is affected. We the people who are preparing to vote on a referendum express our desire to be an independent nation feel violated. Recently, ABG linked up with a little known mining company that was only registered not long ago in the British Virgin Islands. It appears that“Caballus” mining is owned by Jeffery McGlinn from Perth in Western Australia. This man McGlinn, whom we know very little about apart contradictory tales of his recently registered company’s experience in working with indigenous people and traditional leaders, has sold a scam to ABG and ABG has swallowed it hook line and sinker. In a very simplistic proposal that omitted the complexities of a mining venture and the “dog-eat-dog” world of business enterprise, Jeffery McGlinn has shaken the house and dazzled it’s gullible occupants. His top card is a fantastic shareholding cut between him and his creation, BAM [Bougainville Advance Mining] that puts Noah Musingku and U-Vistract to shame. “BAM” in Tokpisin means head on collision. As a matter of fact it may well be on collision course with our sanity. Back at the Youth Centre I was yearning for some excitement to lightened up the dull boring discussions when Hon. Robin Wilson’s man stoked up the projector to show us the workings of BAM. He continued to tell us how the landowner would get more than what the currently Bougainville Mining Act 2015 provided for and how wonderful it is for Bougainville to have it’s own mining company. He spilled the the secrets of how BAM was going to create an economic miracle for Bougainville and give it a mining company and not rely on foreign companies and white people to come take what rightfully belongs to us. 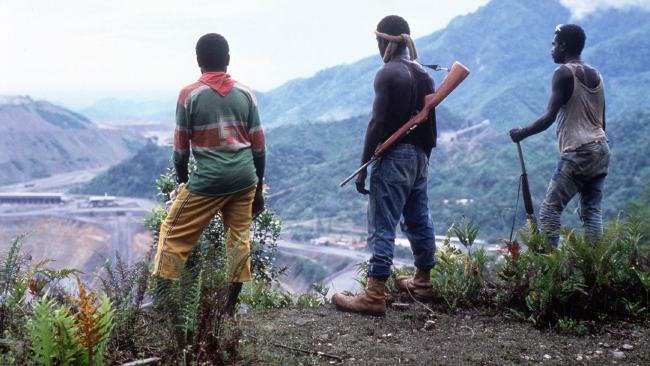 The decision to butcher the Bougainville Mining Act was conceived by Jeffery McGlinn for the Dodos in ABG and it’s Administration under the pretext of “better benefits” for landowners. The Mining Act is not about better benefits. It should be about the protection of the human rights of the indigenous people of Bougainville which are not interchangeable with monetary benefits. My question is how much of what was presented in PowerPoint can we say is from within us and our vision? On the one Hon. Wilson tells us not to woo white folk and then on the other hand he presents an idea, not of his own creation but what a smooth talking white dude gave him and the words he breath into good member’s mouth. The idea of Bougainville’s own Mining company and it’s ability to serve the government and it’s people seem quite attractive but what is the price tag on it? How naïve can our leaders to keep collecting prefabricated nonsense? Despite many of them being educated they still cannot differentiate between what is real and what is fantasy, simply because they don’t bother to check on who they are dealing with in the first place. This brings up another issue, the capacity of the Autonomous Bougainville Government or any other Bougainville government established to replace it after referendum, and the capability of it’s administration to manage and regulate the impact of a large scale mining operation in the region. Since its inception the Autonomous Bougainville Government has establish a string of businesses and partnerships with the Chinese that leaves us wondering as to how these companies are faring as ABG’s money spinners. The biggest horror story in this issue is the taking away of landowners rights and privileges and put them under a trust company that is to be controlled by ABG under a section of the BMA. The ABG has not right whatsoever to tamper with landowners’ inalienable rights. When governments become corrupt and tyrannical the “trust” between landowners and government embodied in the trust company is endangered. We see this kind of arrangement which is similar to PNG Sustainable Fund in which landowner monies are either locked in or stolen by politicians already but whatever the reason landowners have no access to their funds. IT seems that nothing will happen at the Panguna copper-gold mine until after the referendum on independence is held for the island upon which it is situated in Papua New Guinea – Bougainville. The doors to Bougainville Copper Mines (BCL) and RTG Mining – both anxious to redevelop the mine which has been closed since 1989 – have now been firmly shut by President John Momis. 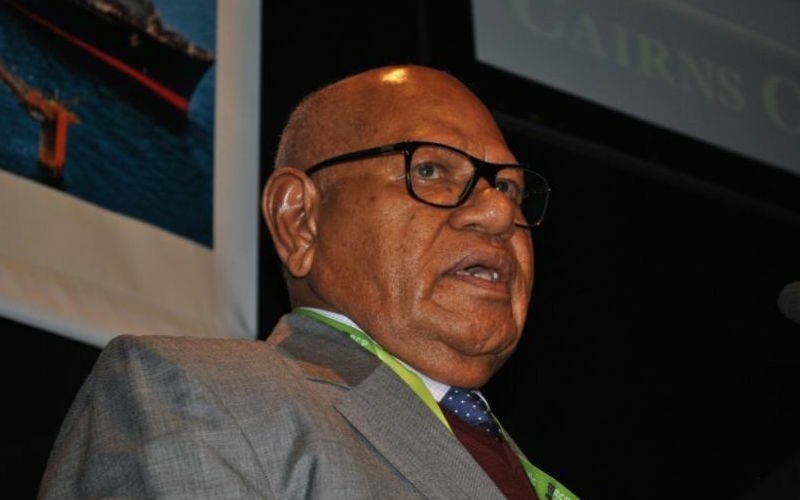 Momis has told media that the mine would remain closed until after the vote, which is expected to take place on June 15, 2019. This follows up on a statement issued by Vice President Raymond Masono, who is also Mines Minister, in which he said that the Autonomous Bougainville Government (ABG) had completed the legal process under the Bougainville Mining Act 2015 in relation to BCL’s application to renew its exploration licence over the Panguna mine area “and conclude that it is untenable under current circumstances for the Panguna project to proceed, resulting in a decision not to grant an extension to BCL’s exploration licence. “Effectively BCL does not have any more tenement (sic) in Bougainville or any legal right over Panguna mineral resources and the legal ownership of the Panguna resources reverts back to the customary landowners of Panguna and the ABG. “In making that decision to not grant an extension of terms to BCL’s tenement, the ABG has also made a decision to impose a mining reservation (moratorium) over the Panguna mine area for an indefinite period,” Masono said. Masono added that the public was invited to comment on the Panguna moratorium and this should be submitted to the Department of Mineral and Energy Resources by close of business on March 26, 2018. “It is in Bougainville’s best interest that the Panguna resources owners be left alone and be dealt with by the ABG alone regarding any future plans for the Panguna project moving forward when the circumstances are conducive and the moratorium is lifted. “For BCL or RTG or any other investor to directly deal with the landowners regarding the development of the Panguna project will only result in more division and problems among the people and may affect ABG’s drive for peace and unity leading towards the referendum. “The ABG will not accept nor be influenced by any speculations regarding its decision on the moratorium and redevelopment of the Panguna project,” Masono concluded. An Australian mining company says a ban on businessman Renzie Duncan entering Bougainville imposed by Papua New Guinea’s acting chief migration officer is unfair. Mr Duncan has worked with the Special Mining Lease Osikiang Landowners Association which opposes the autonomous government’s plans for the development of the Panguna mine. Mr Duncan was banned back in May with the Immigration Authority saying his presence on Bougainville may be detrimental to the government’s efforts relating to mining. The mining company, RTG, which also works with Osikiang and Renzie Duncan, calls the action overly heavy handed. RTG chairman Michael Carrick said Mr Duncan had worked with the community around Panguna for about five years and won their support. 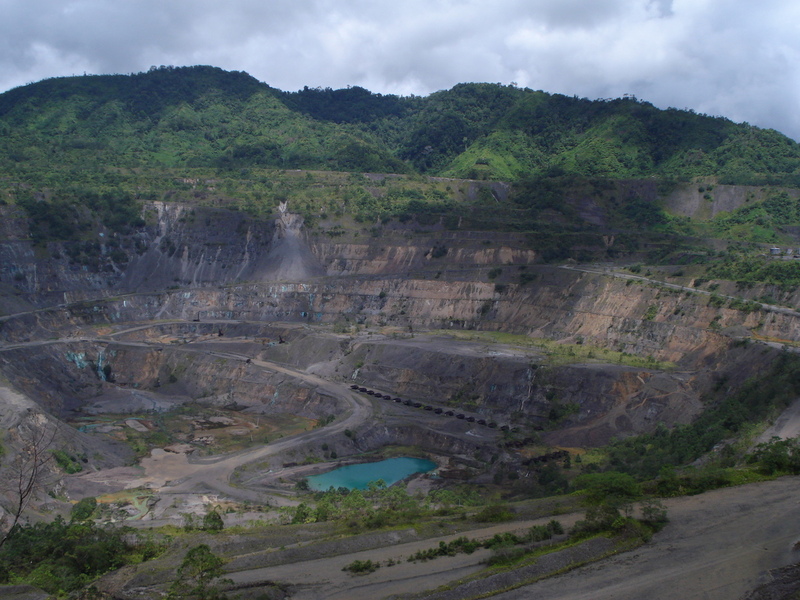 Landowners in Bougainville, an autonomous region of Papua New Guinea, have expressed backing for an RTG Mining-led consortium to take over the abandoned Panguna mine instead of Bougainville Copper (BCL). The landowners are expected to present a 2000-signature petition in opposition of BCL. 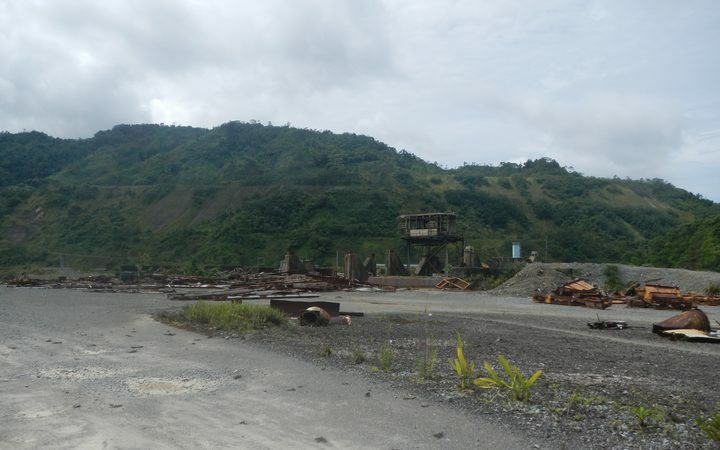 The long-dormant copper mine, abandoned since 1989 due to local conflicts, is currently under consideration for redevelopment by BCL, which is now partially owned by the Bougainville Government. The rival consortium, Central Me’ekamui Exploration, said it has the backing of local landowners, including the Special Mining Lease Osikaiyang Landowners Association (SMLOLA), however, and representatives of RTG Mining said that the BCL’s problems regarding its legacy in the region were “insurmountable”. The mine, while non-operational for three decades, was owned by Rio Tinto until last year. The Bougainville Government has accused the consortium of bribing landowners. “The Autonomous Bougainville Government will not entertain companies who use the back door or break and enter through the window using self-centred individuals who think they have a monopoly over the people’s resources or represent their interests,” said mining minister Raymond Masono. The mine’s relaunch remains a keystone of Bougainville’s upcoming independence plans; Bougainville’s regional cabinet is expected to finalise Panguna’s exploration licence next year. 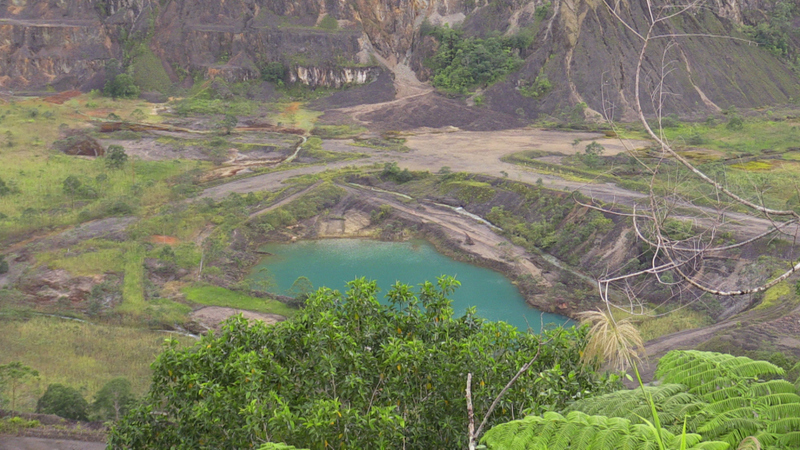 The abandoned Panguna mine pit, as it is today. Photo by Catherine Wilson. ABG Vice President and Minister for Mining, RAYMOND MASONO is calling on Panguna leaders, PHILIP MIRIORI and LAWRENCE DAVEONA to know that the Panguna mine is no ordinary mine. He said that the Panguna mine has a bad history that has crippled the economy of PNG and Bougainville and with many lives lost fighting for it. The Vice President said that the Panguna mine no longer belongs to the landowners because Bougainvilleans blood were spilt over that particular mine. He said that whilst the resources in Panguna and other parts of Bougainville might belong to the people, the ABG has a responsibility to protect its people from unscrupulous companies whose sole interest is to exploit our people for their own economic interests. The Vice President said that we have seen how Bougainvilleans were exploited by foreigners since colonial days and the ABG does not want a repeat of the past. He said that he was surprised that certain individuals can so easily sell their birth right for as little as FOURTY THOUSAND KINA a month to a foreign company when foreign exploitation was one of the issues against which our people fought and died. Also the ABG rejects companies that think they can bribe their way into the people’s resources by giving certain individuals money to gain landowner consent. The ABG Vice President and Mining Minister, RAYMOND MASONO says that the PANGUNA MINE in Central Bougainville will be re-developed under the Bougainville Mining Act 2015 and by a developer or developers who respect the Autonomous Bougainville Government and its laws. In a press statement, MR. MASONO said that the developer must also come through the main door. MR. MASONO made these remarks when commenting on a statement by RTG of a deal supposedly made between MR. PHILIP MIRIORI and LAWRENCE DAVEONA to support RTG to develop the PANGUNA mine. He said that it seems ironic that two people who were fighting over the leadership of the Osikayang Landowners Association in court, a mediation case which is still the subject of a court decision can suddenly reconcile to support a company that does not respect the legitimate government and its mining laws. The Vice President said that the ABG, the landowners and the people of Bougainville will not entertain companies who use the back door or break and enter through the window using self-centred individuals who think that they have a monopoly over the people’s resources or represent their interests. He said that the landowners will decide who the preferred developer would be through a transparent process undertaken by the ABG Department of Minerals and Energy Resources currently underway. MR. MASONO said that the process has not yet been exhausted and any deals supposedly made between landowner leaders,companies,or the National Government and in particular RTG are premature at this stage. Former BRA commander opposed to the reopening of Panguna mine, James Onartoo has denied claims by the media and by the ABG Vice President, Raymond Masono that he and his group had signed a resolution with pro mining BRA Commanders, Ishmael Toroama, Sam Kauona and Glyn Tovirika paving way for the reopening of Panguna. Mr Onartoo said that while he represented the silent majority who believe that mining was not the answer to Bougainville’s future, he had no authority to sign anything that will take away people’s resources and their rights to their land. Mr. Onartoo also said that he and his group which includes, women, landowners and the ex- combatants of South and Central Bougainville remain firm that Panguna must not be reopened. He pointed out that ABG is weak and lacks laws and systems to effectively regulate and to deal with a large scale mine. He said that without these mechanisms in place mining will cause more harm than good to the region. “Mr. Masono’s claims that only a minority opposed reopening of Panguna mine is totally untrue because, the silent majority are with us and our call for “no mining” in Bougainville is gaining popularity. More and more people are beginning to realize that mining can easily strip Bougainville of it’s independence by taking control of ABG and is already causing divisons among us the ex-combatants and landowners,” Mr Onartoo said. Mr. Onartoo appealed to BRA commanders and ABG Vice Present not to mislead the people of Bougainville regarding sensitive issues such as mining. He said that leaders must act responsively give factual information to avoid confusion that disunity. Meanwhile, ABG efforts to reopen Panguna were dealt another blow last week when ex- combatants and officers of Panguna Mine Negotiations (PMNO) under the influence of alcohol threatened a community volunteer worker, Theonila Matbob and her family. The threats were made over the hosting of a referendum awareness program with the help of visiting Melanesian indigenous rights advocacy group, MILDA. The program was move to Arawa following the encounter with pro mining elements in Panguna.